If you are like me, you are forced to go outside to enjoy a nice smoke under the cold winter stars. If you are like me, you enjoy having a hot beverage while doing so. If you are like me, you hate when your drink gets prematurely cold! I like having a nightime tea blend with my evening pipe. I was using my regular mugs only to find that I would have iced tea after 30 minutes. Tonight I brewed my cup of tea and threw it in my insulated tumbler at ~175° without the lid. After an hour the bottom 2” of my tea read at 125°!!! This mug keeps my drinks hot (not warm) for over 4 hours. I don’t have any experience with any other travel mug except this one, but I reccomend anyone who likes a hot drink to give it a try! I use the Klean Kanteen Tumbler and so far it has not let me down! I am thinking of getting a Yeti tumbler but they are a bit pricey. What other mugs do you guys use to keep your drinks warm throughout the day or during a smoke in 30° weather? P.S. I have the silver one and I measured the temp with a digital laser thermometer. I have a nice thermal mug from Dutch Bros. Coffee, but nothing as awesome as the one you shared. Wowsers! It's difficult to beat Yeti. If you're going to use it often, spend the money and get one. Difficult to believe how well they work. A previous employer gifted my team RTIC tumblers as a safety prize one time. My hot coffee is still warm by the end of a full shift. Similar to Yeti but more affordable. Yeti and RTIC are great mugs, but the ones Walmart sells for $10 (knock-off's) work equally as well. I have one of each brand. For my use (car) they keep my coffee too hot to drink for my commute....so they get more summer use. Team Hydroflask here. I have never once filled up my Yeti tumbler since getting one. I am thinking of getting a Yeti tumbler but they are a bit pricey. I have a Yeti that was given to me as a gift. It's great. I have owned cheap thermal travel mugs...they seem to leak more often. Nice mugs you got there. My daughter got me a vacuum mug for Christmas and it works pretty good. It comes without a lid which is fine with me, as I like to sip coffee without one. Thanks for info @milehighpuffer. Good to know. I like that Stanley, looks like you can use it to beat intruders! I have a friend who is on Team Hydroflask and he is always burning his mouth several hours into work. If I ever lose one of these I may look into them. I tried and failed to find the perfect travel mug; there is such a large selection that it makes my head spin. They all seemed to keep the coffee way too hot to drink for the first hour and then all of a sudden become lukewarm. Also if I'm going to spill my coffee, that's fine, it's all part of life... but it kind of aggravates me when it spills out of a "spillproof" mug. I'm sticking with my extra large Stanley thermos to keep the coffee hot, and I just pour it into whatever cup suits my activity. On the road I use recyclable coffee cups with lids and at camp I use an enamel mug. Works great because you have coffee all day and the coffee stays piping hot (I make coffee at 4am and have hot coffee all day at the jobsite, always leaving enough for a perfectly hot cup driving the truck back to the shop at 6pm) and the transfer into the secondary vessel gets rid of that waiting period you get with travel mugs where your coffee is still way too hot to drink. A Yeti here, which I use very little, as the climate is mild and I re-use throw away cups. For a long trip, a Stanley thermos fills the bill. I have a Yeti mug w/ the improved lid which has a magnetic slide cover. The Yeti is well worth the money. I have a couple of good mugs. Usually though, I just have the girl double cup my coffee at the stand. 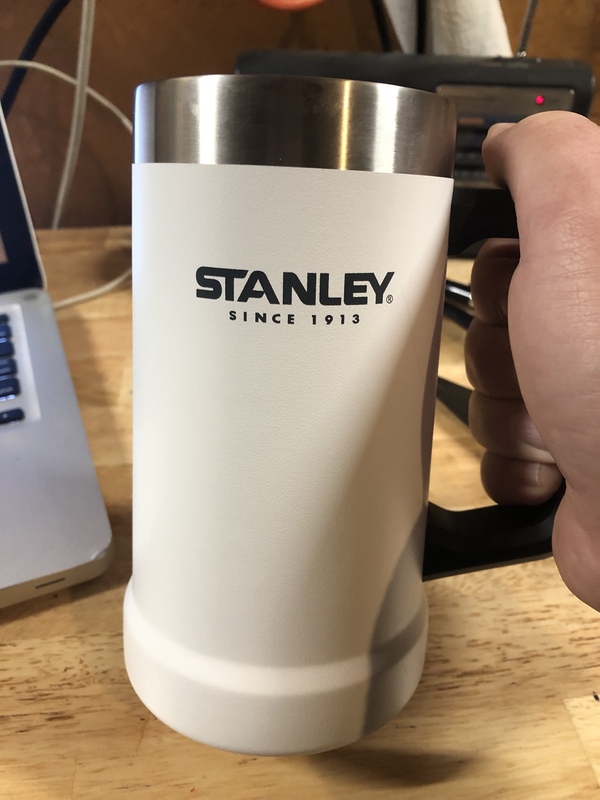 If I'm heading into places where there are no stands, a mug won't last long, the Stanley thermos is my go to. Insulated mugs (shaped more like tea glasses to me) are incredible. I don't even use the lids, which greatly extend their insulating properties, and they still maintain iced drinks or hot drinks for hours. I can have a swig of ice water, still iced, after eight hours or more. I have a miserable old plastic one that worked pretty well, that has a chipped brim, that I still use now and then, given me at a scientific meeting exhibit hall. 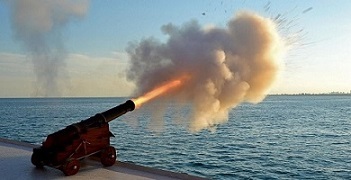 My wife hates that thing. But I have two nice stainless steel version that are excellent. So yes, these are game changers. For eight or twelve bucks, or somewhat less, these are entirely worth it.